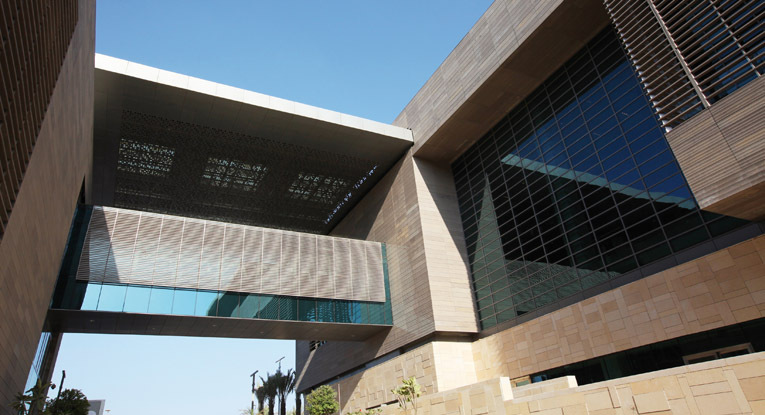 King Abdullah University of Science and Technology (KAUST) in the newly-developed town of Thuwul, Saudi Arabia, is an international, graduate-level research university dedicated to inspiring a new age of scientific achievement. 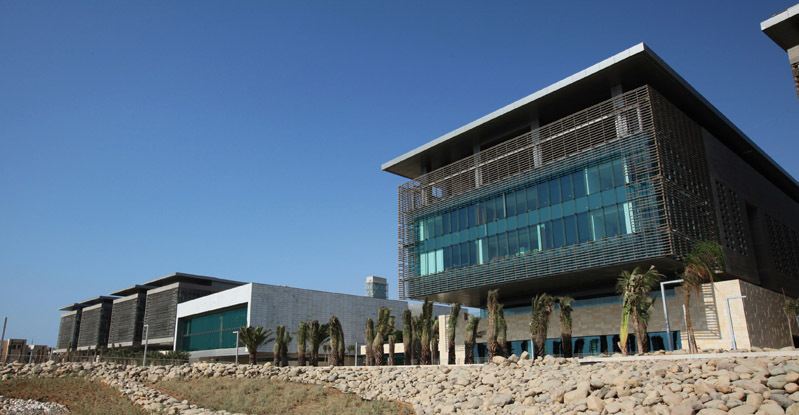 As the first co-educational university in Saudi Arabia, KAUST is more than just architecturally groundbreaking, granting admission to both men and women from around the world based purely on merit. 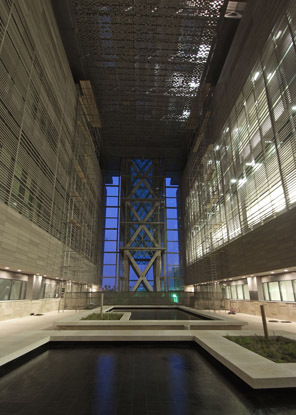 The 26-building campus was developed by multiple design teams at globally renowned architectural firm, HOK, which took the project from concept to completion in just three years. 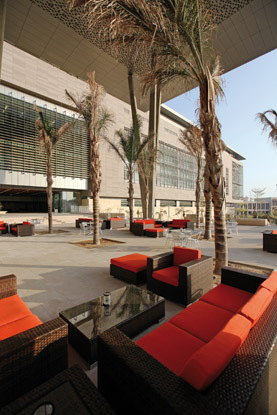 The teams faced the challenge of creating a sustainable, energy-efficient campus, while battling the heat and humidity of Saudi Arabia. 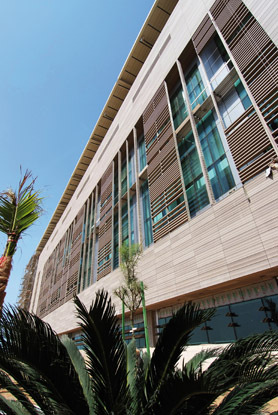 They started picking building materials from the outside in, choosing NBK Terracotta panels for the buildings' facades. "It was important to me that a public building in a public place ages gracefully," said Architect Ernst Mayr, who designed the Hauptbibliothek in Austria. 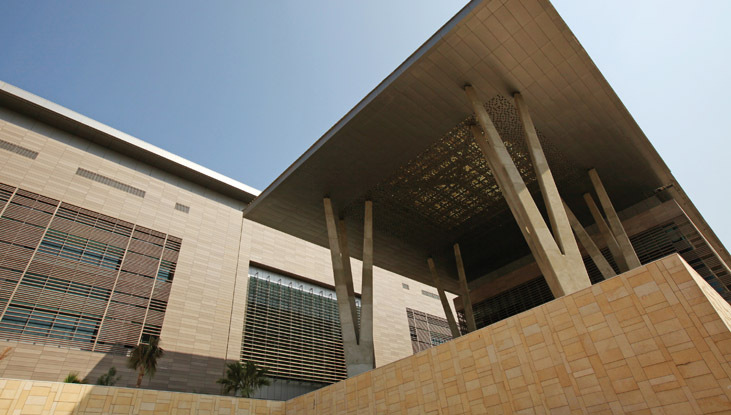 "Therefore materials such as sheet metal and granite were ruled out from the start. 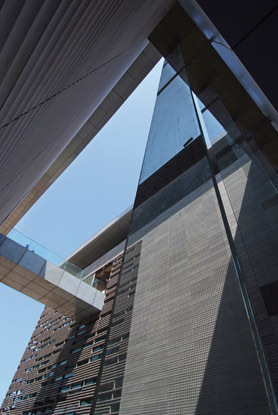 Terracotta offers several advantages. 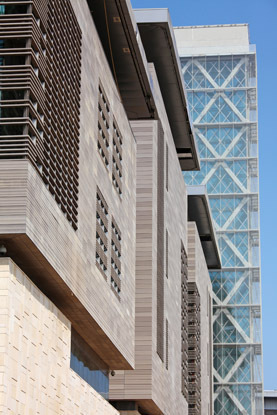 Although the building is self-contained and also highly monumental, the use of terracotta means that the overall visual effect is not brutal. 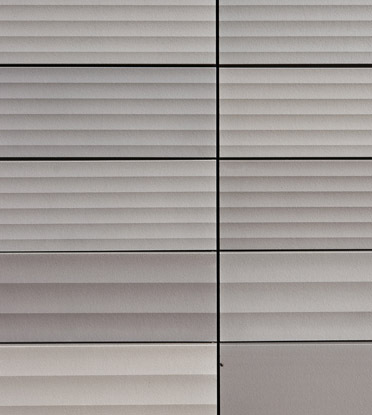 I also didn't want a building in grey, but a color that radiates warmth and friendliness. 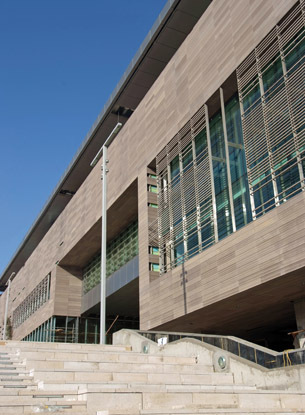 In this case, the light terracotta color is ideally suitable." 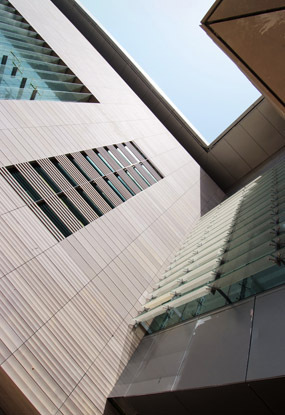 The rainscreen and sunscreen components of the NBK Terracotta panels provide major benefits in the thermal performance of the campus buildings due to their UV resistance and "back ventilation" properties, which assist in maintaining a dry cavity that relieves buildup of hot air. 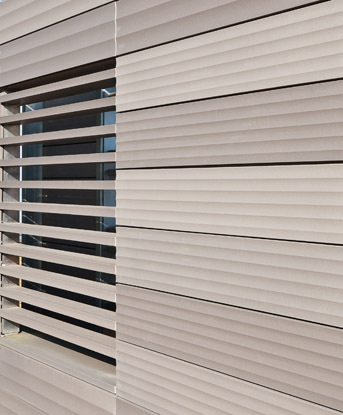 The layout of the louver panels was designed in a random, but functional pattern to create an attractive facade design, while increasing the energy efficiency of the campus. 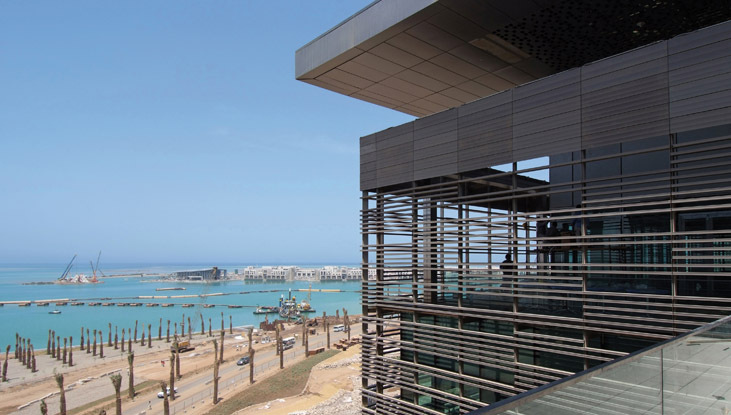 Covering 6.5 million square feet, KAUST is the largest project to be clad in terracotta. 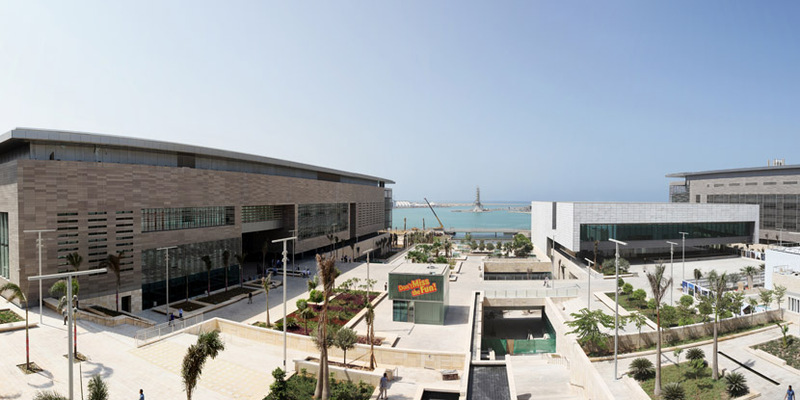 NBK delivered approximately 140,000 m2 of high-quality terracotta tiles and other specially formed elements. 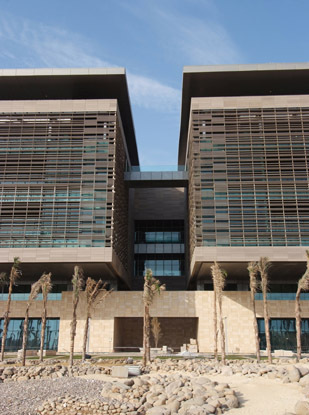 NBK manufactured all windowsills, ceilings, deep reveals, copings, and fluted profiles in terracotta - solutions developed especially for KAUST. 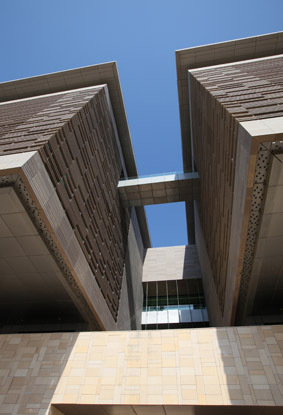 KAUST is the first project in Saudi Arabia to be LEED certified and is the largest LEED Platinum project in the world.